The results are in and %78 of Humane PA endorsed candidates prevailed! Winners are marked with a pawprint. Congratulations to everyone who did their part! Please click here to learn more about Humane PA’s methodology for endorsing political candidates and here to find your state legislative district. House District 27: Daniel Deasy, Jr.
House District 39: DOUBLE RECOMMENDATION: Robert Rhoderick, Jr. Michael Puskaric – no incumbent running so there is no voting history to evaluate – both candidates are recommended due to equally good survey responses. House District 40: DOUBLE RECOMMENDATION: Natalie Milhalek Sharon Guidi – – no incumbent running so there is no voting history to evaluate – both candidates are recommended due to equally good survey responses. 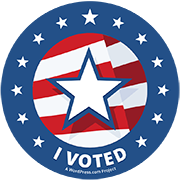 House District 44: DOUBLE RECOMMENDATION: Michele Knoll, Valerie Gaydos – no incumbent running so there is no voting history to evaluate – both candidates are recommended due to equally good survey responses. Recommendation: Candidate has either a strong humane voting record, history of leadership or strong survey and commitment to the humane treatment of animals. No recommendation: Candidates either did not fill out the survey or are equally rated based on the information we have at this time. Viability is also taken into consideration. Criteria: Voting record, incumbency, history of leadership, improved record, survey results and viability. And we take note of favorable animal topics and positions on campaign materials and on their social media. For more details about Humane PA’s methodology – check: Announcing Humane PA’s 2018 Endorsements.